The City of Sydney’s school holiday program, from 13 to 28 April, has dozens of activities to suit children aged five to 18 years. Activities include learning how to record your own music and coding with the world’s first app-enabled robotic ball. For those who like getting outdoors, there are excursions to Jamberoo Action Park and balance bike classes for kids learning to ride a bike. Lord Mayor Clover Moore said the City’s school holidays program is packed full of exciting workshops, sporting activities and performances. “Our community centres, libraries and children’s services have developed a diverse program to keep little ones entertained and teenagers engaged during the holidays,” the Lord Mayor said. “This program has been created with input from young Sydneysiders to make sure it’s fun for everyone and suits every budget. Join musician and sound designer Kathryn Roberts Parker in Green Square Library’s new music room to learn how to record your own music. Kathryn will guide participants through the fundamental principles of sound recording including channel equalisation, mixing, special effects and how to master your track. Students will also learn about the options for plug and play recording on a laptop or device. Pine Street Creative Arts Centre in Chippendale will offer workshops for school children aged six through to 17 years. Creative workshops include everything from ceramics and screen printing to painting and digital animation. Participants are encouraged to work on projects at their own pace under the guidance of a tutor in fully equipped studios. Bookings are essential. In this storymaking workshop, participants will use shadow, illustration and physical theatre to create and bring to life their own worlds. This world-building workshop offers the chance to design sets, get up on stage and perform, or do both. 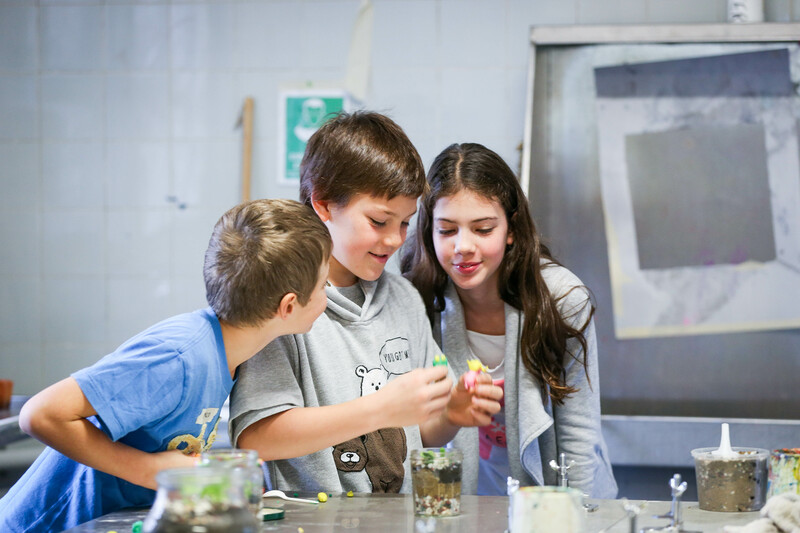 The Youth in the City school holiday program features a mix of events, workshops and activities for older kids aged 12 to 18 years, and most of them are free. Activities include bubble soccer and indoor rock climbing, dodgeball and excursions to Jamberoo Action Park and Fox Studios cinema. Children can get creative and have fun in the hands-on rocket-making session. Participants will make their creations out of a balloon and can challenge other makers to see who goes the fastest. Learn about coding with the world’s first app-enabled robotic ball. Navigate the Sphero robots through obstacle courses and challenges. Using peg boards, participants will learn to guide balls through a series of marble run courses through different routes and tracks. Participants will learn to make a flying machine from recycled materials and watch it soar – they just need to bring their own imagination and get constructing. Balance bikes are a fun way for young children to develop a love of riding. Instructors assist parents to help kids aged 3 to 8 years focus on basics like steering, turning corners and balancing on two wheels. It’s a safe way for kids to learn how to glide confidently on two wheels before graduating to pedals. Participants for the balance bike clinics do not need to book in advance, just turn up and register with the instructors on the day. For more information on all school holidays programs and bookings, visit the City’s What’s On website.